REV-ENG L.L.C. 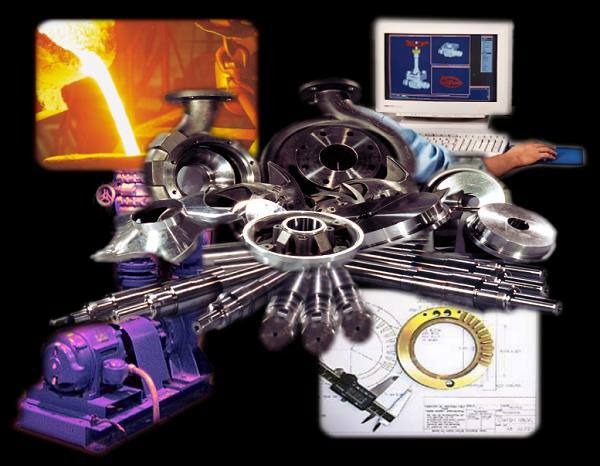 Reverse Engineering specializes in replacement pump parts for industrial process pumps. Our OEM-quality replacement parts are reverse-engineered from genuine OEM components and manufactured utilizing today's technology with solid modeling, CAD and CAM software to ensure precision engineering. All parts are manufactured from ASTM certified materials and all machined parts meet or exceed OEM specifications. REV-ENG L.L.C. can also reverse engineer cast and machined components for other types of industrial equipment. Contact our sales engineer at Reverse Engineering today for information about replacement parts for many brands of industrial process pumping equipment, especially parts for ANSI centrifugal pumps.